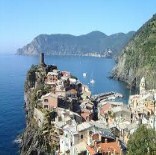 Our 6 night package is based at the picturesque Cinque Terre town of Monterosso al Mare. There will be a welcome dinner, walks, boat trips, morning swims plus organised events (by the Italian Swimming Federation)and a celebratory final night dinner with special presentations. This trip suits swimmers of all standards as you can tailor the distances and the number of swims you want to participate in. Non-swimmers will have an unforgettable experience to match those of the H2o lovers. 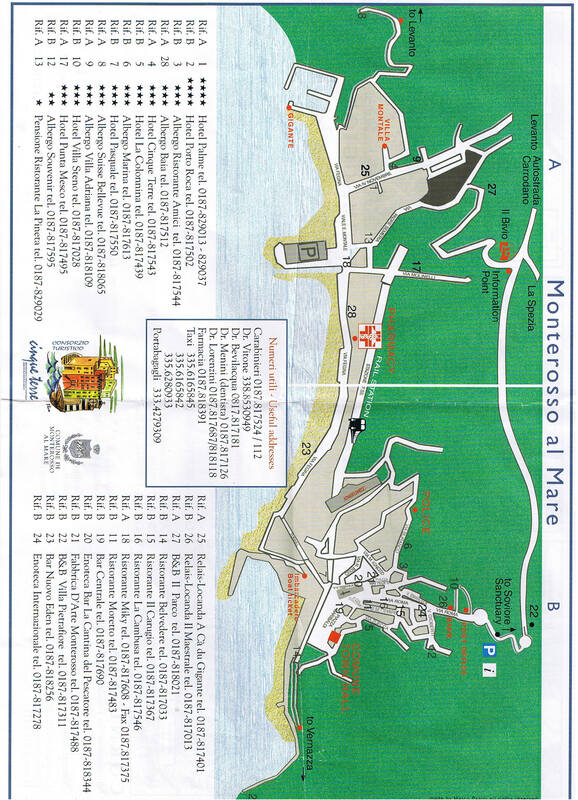 Arrive Monterosso al Mare and check into your hotel. "Delightful Monterosso al Mare is the most visited Cinque Terre town, largely because it has the only sizable sand beach and the biggest hotels. The old town area, separated from the more modern resort area by the Aurora tower, is home to the ruins of a medieval castle and San Francesco church, which houses an important Van Dyck painting of the crucifixion." Tonight we’ll have a welcome dinner. This is a perfect chance to sample the local cuisine and meet your fellow swimmers. After breakfast all the swimmers will discover the Cinque Terre from the sea with an escorted swim from Vernazza to Monterosso (approx 2.5k) followed by typical Italian post swim refreshments- Foccacia, Pizza, home-made pasta & wine! The rest of the day is yours to discover the beauty of the region. More water-based activities are on the agenda today with a boat trip along the 5 towns of the Cinque Terre so you can see where you’ve swum previously and scope out new areas to visit later in the trip. The boat will continue on to the island of Palmaria and to the smaller islands of Tino and Tinetto and further on to Portovenere. "The Gulf of La Spezia is called the Gulf of Poets because of its attraction to some of the world’s most celebrated poets who came and even died here. One such story is of Shelley who lived in the village of San Terenzo and died when his boat was hit by a storm. Both Dante and Petrarch spoke of the natural beauty of the Gulf." When we return to Monterosso visit one of the many restaurants for some fresh seafood a big bowl of the local "specialty" pasta to carbo load for a big swim planned for the following day. After breakfast we’ll jump back on a boat and out into the Gulf of La Spezia where we will transfer to Palmaria for our swim to circumnavigate the island! This will be an experience you’ll never forget with incredible visibility amongst spectacular scenery. The swim distance is approx 7 – 8km (depending on the line you take!) After the swim our Italian hosts will provide a wonderful feast. The day will kick off the best way possible with an enjoyable swim before indulging in a big breakfast. After breakfast use your Cinque Terre Pass to walk along the paths and tracks joining the five villages of the Cinque Terre: Monterosso, Vernazza, Corniglia, Manarola and Riomaggiore. Enjoy the alluring views and make sure to indulge in a gelato or two when wandering around the gorgeous towns. The path is well marked, so you can go at your own pace and take your time exploring the villages. If you get tired of walking take the train or a boat back to Monterosso. This afternoon join our Italian friends for a swim in the beautiful waters of the Bay of Silence - following a drink and a bite to eat we will head to Franco's home town of Chiavari for a swim and if we are lucky a drink with the town mayor in the town's beauitiul old bar. Alternatively take the day off and use your Cinque Terre card to explore more of the area, relax on the beach, or do nothing! This evening there will be a farewell dinner that will include some presentations to celebrate the weeks’ activities. Swap contact details and swim stories with new friends over a glass or two of vino. Unfortunately it is time to back up and say “arrivederci”. 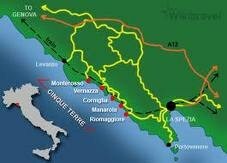 • Cinque Terre pack including map of the area, train and boat schedules. • As much or little swimming as you want! Take a short train trip to Santa Margherita & Portofino and rub shoulders with the rich and famous on their luxury boats.Visit the fashion capital of Milan and stock up on designer labels. Or why not combine this tour with our swim tour of the Dardanelles (Turkey), Malta, Sicily extension and/ or Spain The dates co-ordinate perfectly! 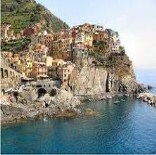 "The Dardanelles and Cinque Terre trip far exceeded my expectations and the ease of planning made for a fantastic time. Congratulations! Looking back, the highlights for me included the "training swim" in Istanbul, the baklava hunt in Canakkale, the medicals (complete with cigarette smoking doctors), the swims at Deiva Marina and Cavi, and not forgetting the people who regardless of anything, just went and enjoyed themselves. I'm looking forward to my next Cousins Tours and Travel trip and continuing my international open water swimming career!!" "Gina, I have to tell you how well you did organising our 4 in 1 trip ... Turkey swim ... Cinque Terre swim ... Sicily swim tour ... Roma (with a taste of Milano perfectly timed of course to accommodate the Fashion Night!). Great locations for our hotels, perfecto choices of spots to stay in-between tours, interesting guides and tours and better still, a great bunch of people to spend time with." "I want to tell you how much I enjoyed the Turkey and Cinque Terre tours. 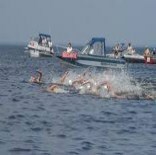 To achieve my aim of swimming across the Dardanelles was one of many highlights even though I was second last overall! Long lasting memories of great experiences and company from these tours will remain with me."